I know, some of the Art Therapy purists do not like that idea so much. They also tend NOT to be the ones who are paying student loans back and looking for work. They can afford to be purists, where many of us simply cannot. Fact: Graduate school is expensive, and you want to enter a program that will co-create with you the greatest universe of possibilities for jobs and careers imaginable. Fact: There are a LOT more job openings available in the world if you are licensed as an Art Therapist AND a Counselor. Way, way more. I know. I have a web site for jobs in mental health, and I post new lists of jobs every month. If you are going to spend two years going to graduate school, do yourself a huge favor and go to a program that offers you eligibility for licensure in both areas. It will pay off in a big way. It is a gamble NOT to. 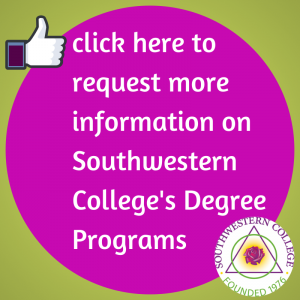 At Southwestern College, in the art capital of Santa Fe, New Mexico, we offer you a third possibility. When you take our dual-eligibility curriculum for Art Therapy and Counseling, and add a few more courses (as electives), you can also gain eligibility to sit for licensure as an Alcohol and Drug Abuse Counselor in New Mexico. That is another HUGE area of opportunity, and again increases the job/career market very significantly.